Go on a journey to collect the Treasure Crystals as the captain and only survivor of your airship, and hunt for the remains of your lost crew. This map is a CTM map, featuring a unique upgrade system, interesting gameplay mechanics, as well as custom items and weapons. This is my 6th mini CTM. 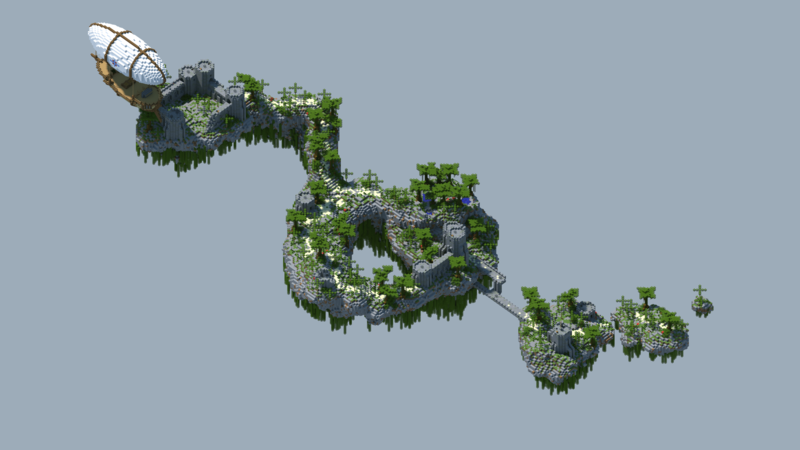 If you enjoy it, feel free to leave feedback and check out my other maps HERE. -1 Unknown I died 10 times, in the first area, on easy, and had to use dirt from the pawn point to get to the first island. I got swarmed by zombies and blown up by 3 creepers, and I never even found the end of the first area. +2 BuncyTheFrog Just finished the map. Pretty well built, consistent placement logic for spawners, and I almost always knew where to go next. By coincidence, I cleared the red block before the blue, and I think that was a very appropriate escalation of difficulty; doing it in reverse might have been much harder. Only one death, too, getting caught not acting safe enough in the first blue block dungeon room and getting punished for it. Thanks for making the map; it was a good toe dip back into CTMs. Not sure why the command blocks weren't working for you, did you have them enabled and were you playing in 1.10? Glad you enjoyed the map in spite of that! 0 Match Wow this map is crazy, I spent many hours on section 1 and I beat it on normal without cheats with 6 deaths (like 4 of those were trying to retrieve items from the first death). Section 2 seems easier now that I have some armor, I hate playing with little to no armor because I play with sound off so things catch me by surprise and I cant save myself in time. I look forward to finishing it tomorrow! This map is really hard. I nearly died multiple times on THE FIRST SECTION even when I got myself full diamond, an enchanted bow, an enchanted diamond sword, sixty-four golden apples, a diamond pickaxe, and a diamond axe. Also, I am not a noob even though I just bought minecraft last year, I have been watching minecraft videos for at least four years so how did you do the map without cheating? Also, another indication that I am not a noob is that I know the LAN thing to get cheats:) The map in general though is not the most interesting because you just try to find something while hitting mobs that are in your way... needs serious rebalancing. Look up TJtheObscure on YouTube. He's doing a playthrough now and beat the first area with 2 deaths on hard without cheating, so I doubt that it requires full diamond and tons of golden apples to beat. The map is intended to be difficult, and if you boil every map down to its very basics it you can make it sound boring. If it needs any rebalancing, it needs it in later areas to make them more challenging. I don't know about your experience with minecraft, but the CTM genre plays different from vanilla and the maps are generally more difficult. -3 Name This map is really hard. I nearly died multiple times on THE FIRST SECTION even when I got myself full diamond, an enchanted bow, an enchanted diamond sword, sixty-four golden apples, a diamond pickaxe, and a diamond axe. Also, I am not a noob even though I just bought minecraft last year, I have been watching minecraft videos for at least four years so how did you do the map without cheating? Also, another indication that I am not a noob is that I know the LAN thing to get cheats:) The map in general though is not the most interesting because you just try to find something while hitting mobs that are in your way... needs serious rebalancing. Is this map multiplayer-compatible? This looks AMAZING. It is multiplayer compatible, but there is a little weirdness. There is a mechanic that gives mobs resistance, but in multiplayer it also gives players resistance if they're near each other. Everything else works fine though. This is an extremely difficult map. I played on easy with keep inventory and cheats, and the first level was still an absolute hell-scape. without turning keep inventory on, however, it was simply unplayable. balancing issues aside, this map is somewhat enjoyable (albeit difficult), and very well made. Thanks for trying out the map and leaving feedback! It is a difficult start, but definitely not unplayable. I've beaten the first area with no deaths on normal without much issue. 0 TheMapReviewer Is this map multiplayer-com patible? This looks AMAZING. 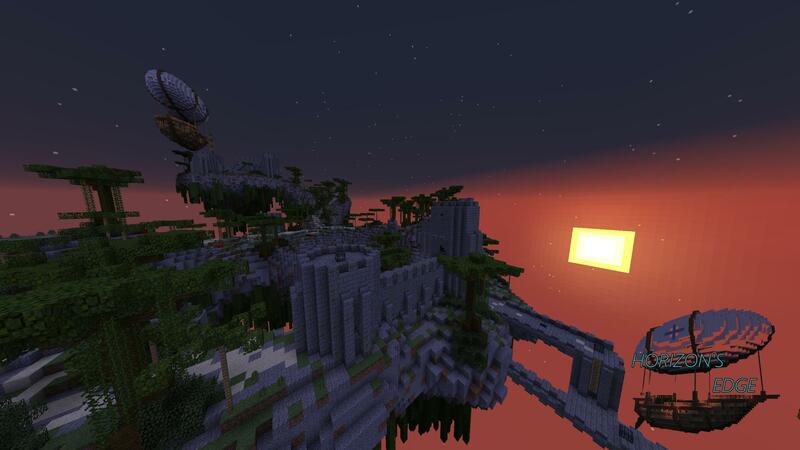 -1 Mysteri0us This is an extremely difficult map. I played on easy with keep inventory and cheats, and the first level was still an absolute hell-scape.